Chaumet: Parisian Jeweler Since 1780 exceeds expectation when it comes to its content and quality, and shatters any preconceived ideas about the brand itself. Unquestionably Henri Loyrette has proffered a glorious volume that meticulously and assiduously traces Chaumet from its beginnings to its present, which means you are made privy to a history that spans almost three centuries. Not only is this the tale of the brand, but the author serves up equal parts European history, aristocracy genealogy, gemology, philosophy, sociology, and pervasive trends at each given time span in history. This reader had never realized the rich history that is part and parcel of Chaumet. The brand is rarely on the tip of anyone’s tongue when it comes to the discussion of haute joallier, but now it is a wonder why that is the case. It was perceived that Chaumet was famously known for only gemstone jewelery. Be prepared to be dazzled by their work in pearls, cameos, and exotic materials that boggles the mind; who knew this was the favored jeweler of Napoleon and Josephine? Who knew that they centuries ago they collaborated with Breguet to produce timepieces? Who knew that there was such a thing as a “watch” that told time and a separate one to tell the day of the week? The book is full of bits and pieces of ephemera that will feed the most hungry and inquisitive of minds. Undoubtedly, the main attraction here is the visual aspect of this superb work. The archival reproductions and photographs dazzle the eye even when the jewels are displayed within a painting of the era. If there is one negative to be raised about the book, it would be that it is a tad unwieldy to handle as its weight is substantial, but once one is swept in, this negative aspect evaporates. 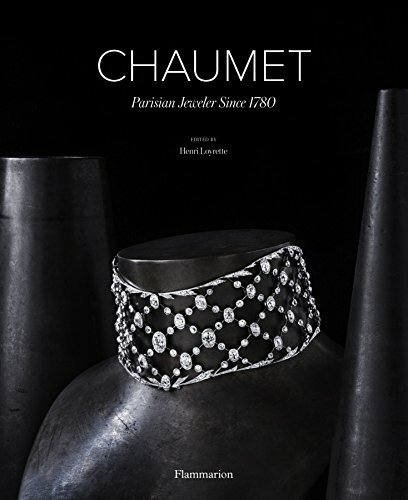 Chaumet is a simply glorious example of why printed books need to be owned since there are certain topics that simply cannot be fully appreciated or explored by reading on a computer or handheld device. Chaumet: Parisian Jeweler Since 1780 is an absolute credit to its genre and is a must-own for anyone who loves and appreciates fine jewelry.